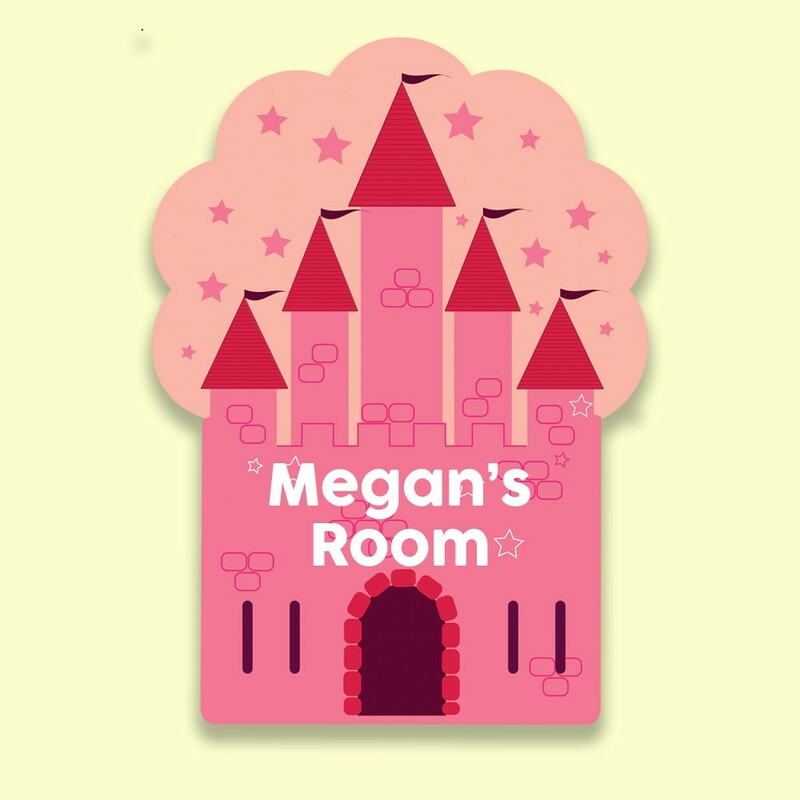 A personalised door plaque fit for any Princesses castle! 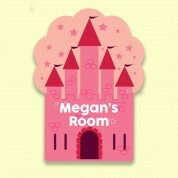 The gorgeous door sign features a pretty pink castle, complete with stone turrets and purple flags. The magical castle stands in front of a pink, starry sky. The child's name is featured on a pink banner in the sky. It will look gorgeous on display, and as she grows older she will love to spell her name out on it. 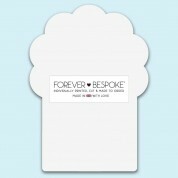 All of our customised door plaques are individually personalised and printed in the UK. Our team of designers spend time on each one, making it a truly unique keepsake for the child. She is sure to own nothing quite like it. 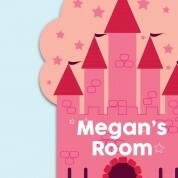 We think the unique door sign makes a wonderful gift for a baby girl's first birthday. Alternatively it would suit a Christening, Dedication or Confirmation.